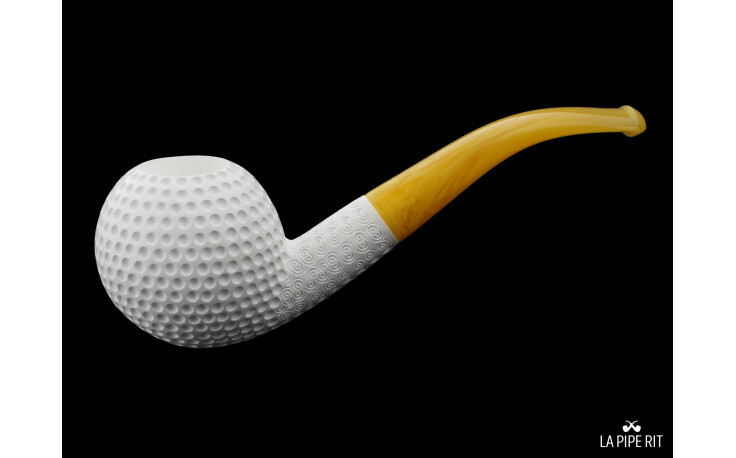 A stunning design and a surprising raw material. 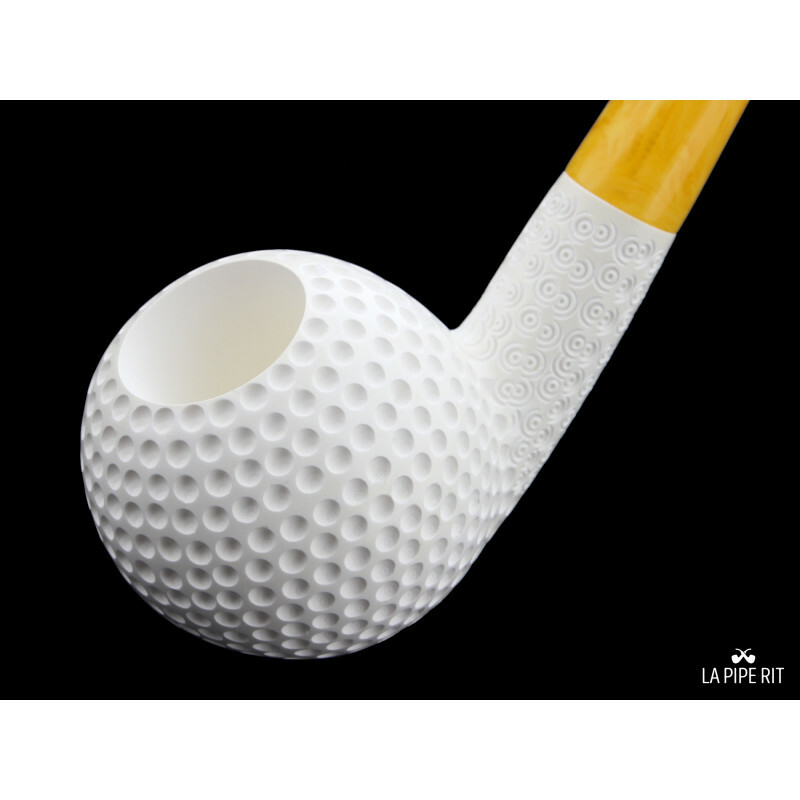 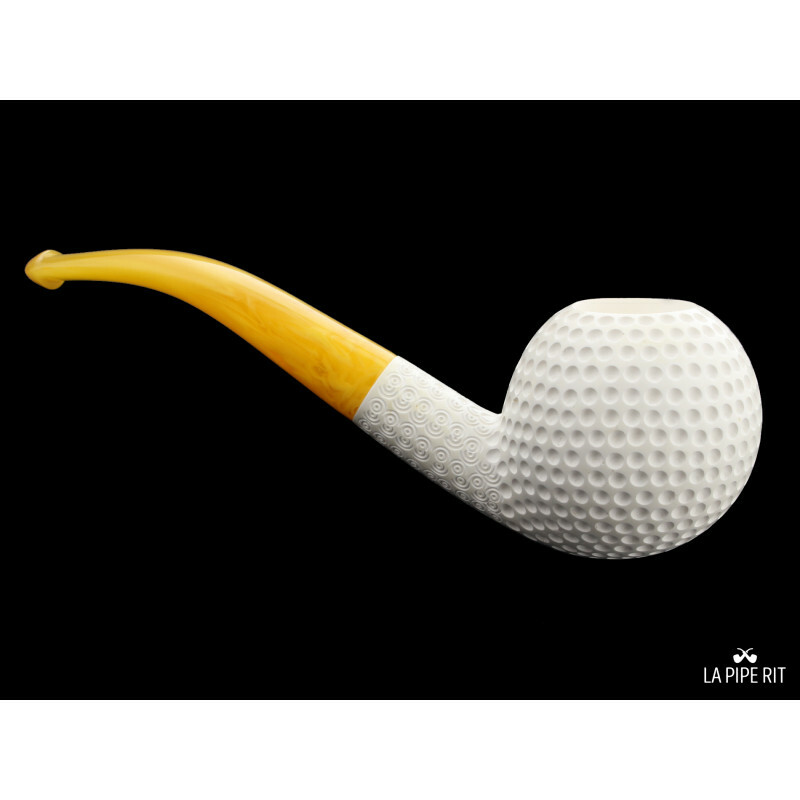 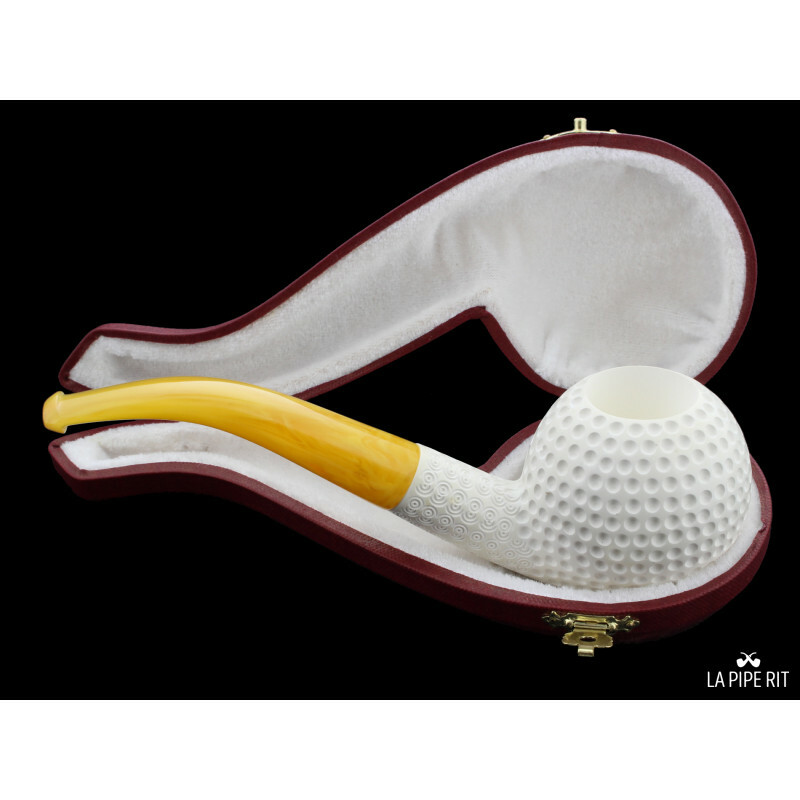 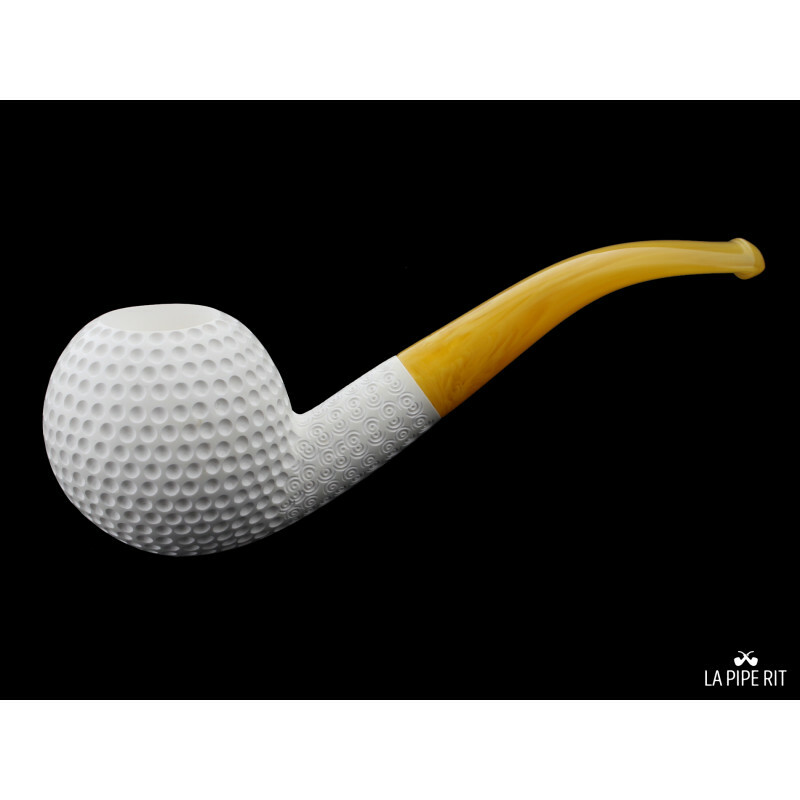 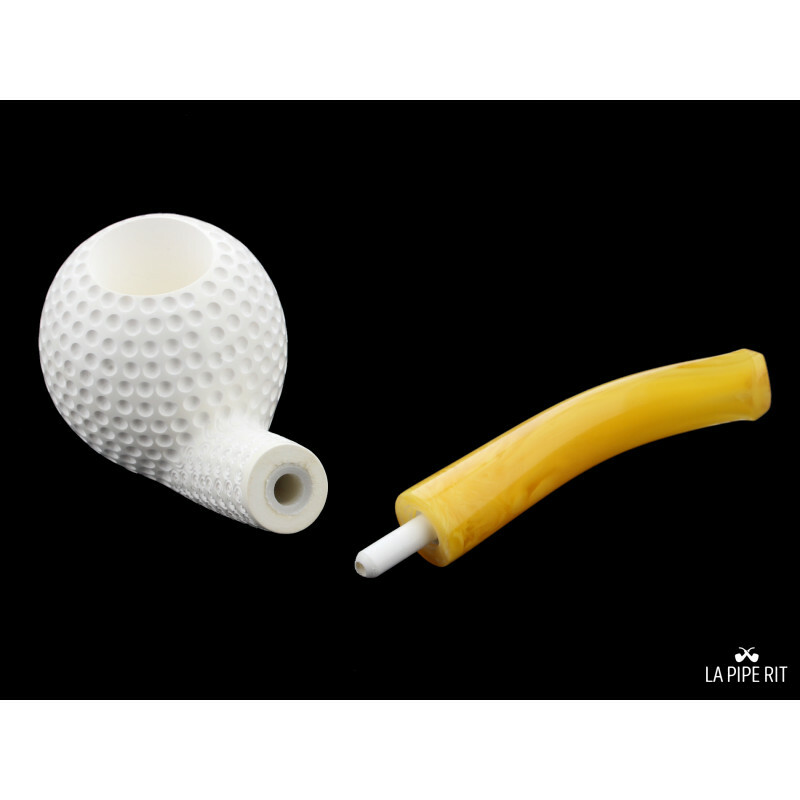 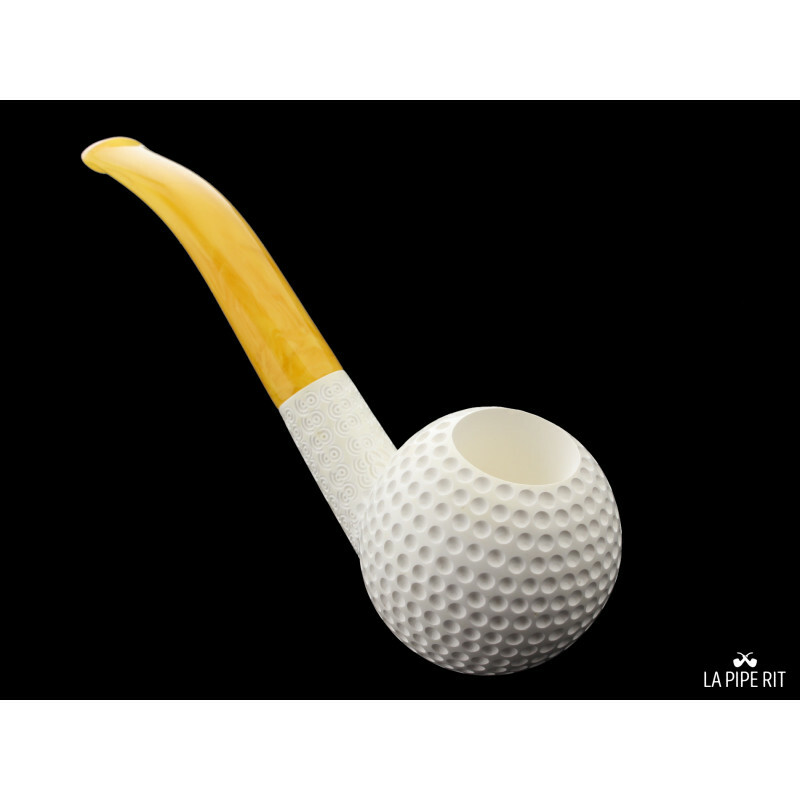 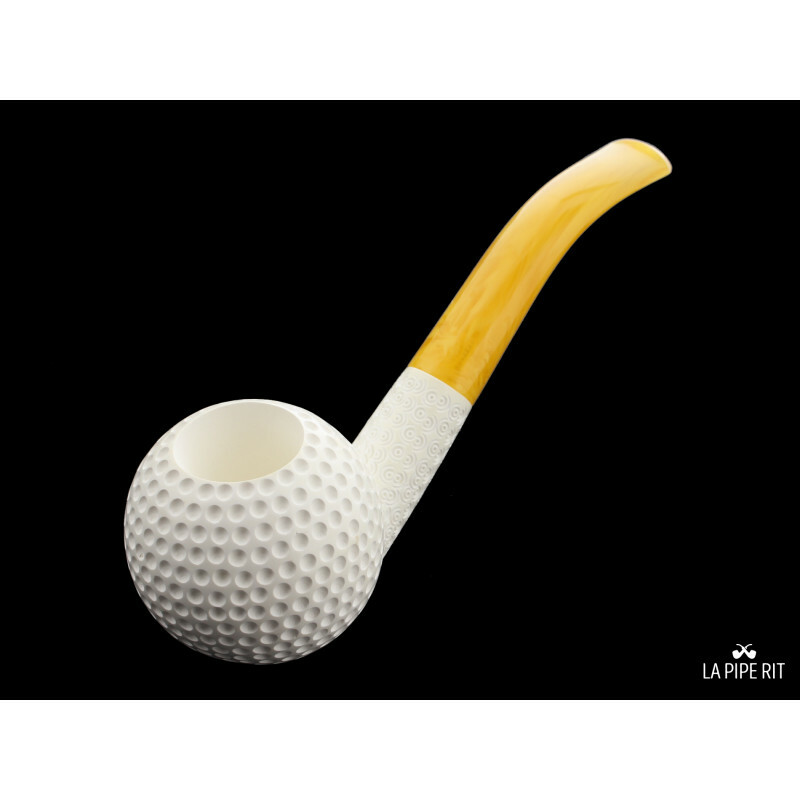 Meerschaum is light and act as a filter. 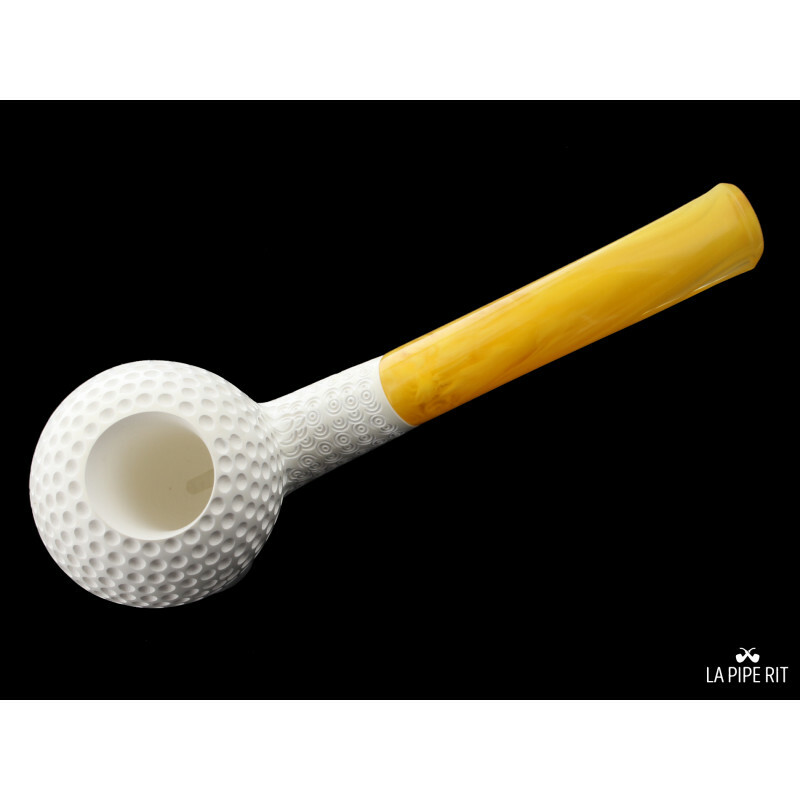 It traps tap and the moist from the smoke, therefore the smoke is drier and softer.